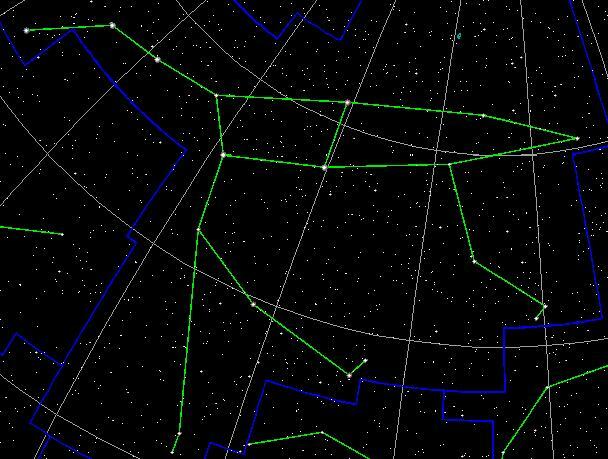 The star is actually a binary – the two of which can been seen together with a good pair of binoculars on a clear night. 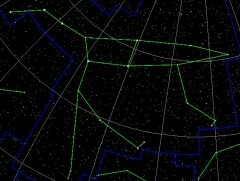 You can find it by first locating the Big Dipper, than seeking out the front knee of Ursa (the Bear). Still lost? Try Wikisky.org. A web-based star/galaxy map with lots of great astronomic pictures. 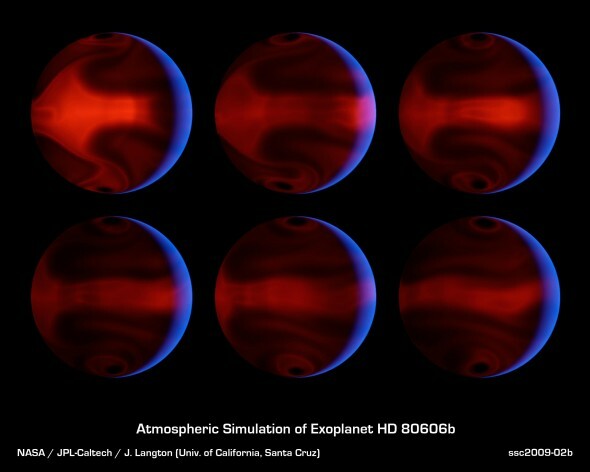 While many of the recently discovered extrasolar gas giants orbit very close to their sun, this one follows a highly elliptic orbit. As the furthest point from it’s sun, it’s about 1 AU away. But at it’s closest, it’s about 0.03 AU. Tie that in with a relatively quick orbit of just over 100 days, and the result is extreme global warming and extremely global cooling at very regular intervals. What’s the significance? By understanding heating and cooling patterns scientists can better understand how extrasolar planets absorb and shed heat. Scientists reached these conclusions after observing the planet with the Spitzer space telescope. A Few Favorite Aurora Pictures Where’s Yo-Yo?